The truth is that there’s always something you can do to boost the curb appeal of any house, anywhere, at any time of year. Even if you have doubts about your home’s potential, try out some of these quick fixes and see what sort of a difference a curb appeal makeover can create. A big part of any house’s curb appeal is not the house itself, but rather, the garden. With lots of plants around, your house appears more living and vibrant. Adding plant life to your house doesn’t mean that you have to build a whole new garden, however. If you don’t have the space for a garden, or simply don’t have the time to take on a major landscaping project, you can easily create a new garden in one afternoon by buying an assortment of potted plants and placing them together on your deck or outside of your home. By placing these plants in an asymmetrical arrangement, you can make this makeshift garden look just as natural as one planted in the ground. When working on curb appeal, it helps to know what the human eye likes to see. With a little know-how and some effort, can apply many aesthetic concepts that come from art and photography to your landscaping and exterior design. Two things that our eyes tend to search for are symmetry and clean lines. Good edging around your flowerbeds and walkways is a great way to create clean lines, and you can easily achieve symmetry in your entryway with matching decor. For more advanced curb appeal project ideas, delve into the aesthetic principles of art and design and try to imagine how they would relate to your home’s exterior design. If you know a thing or two about these subjects, you’ll find that there are nearly endless possibilities to spruce up your home and garden. Adding window decor can take a house from drab to dazzling. One easy way to add appeal to your windows is to install window boxes. Choose plants and materials that enhance the natural look of your home. Another great way to add life to your windows is with shutters or accent trim. Shutters and trim add an extra layer of colour and texture to your home’s exterior, two more things that the human eye likes to see. And on top of that, shutters also have a practical use as they help with security and can be used to control light and ventilation. 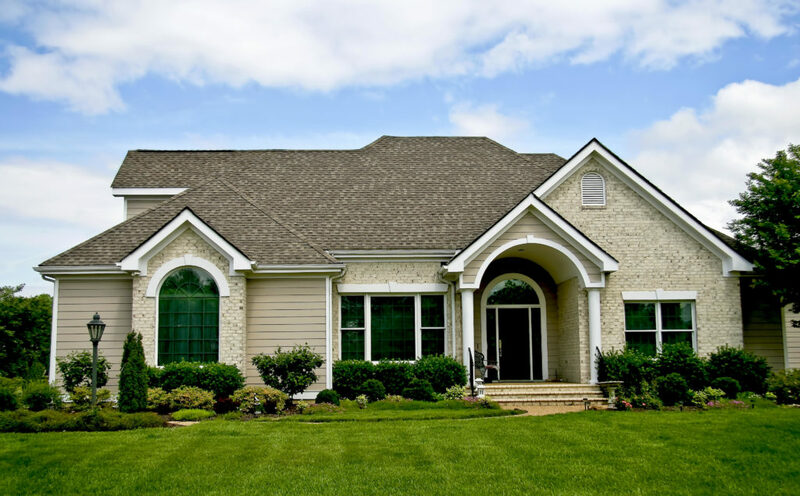 If you reside in an area that goes through all the seasons, you might want to consider seasonal curb appeal. No one want to think of the snow but if you are planning to sell in the winter time, there are a few things to consider. Since sunlight hours shorten in the winter months, you will want to ensure lighting is a priority to showcase your home to potential buyers. There’s no doubt about it: selling your Calgary home will be easier once you take some time to add a little curb appeal. With so many houses for sale, you’ll definitely want to make sure that yours stands out. Don’t worry if you think your house doesn’t have that inherent “wow” factor. With a little work, a small budget, and some creativity, you can turn any house into a head turner.